Today on the allotment I sowed my first seeds, I’m so excited!! I know that it’s much later than normal, but the weather has been too cold. There’s no point in sowing seeds when it’s too cold because they just won’t grow, and usually rot. So it’s better to leave them for a bit until the weather is right. So today was the turn of my Parsnips “Gladiator”. I tend to sow this variety most years as they really do well. Parsnips are in the soil until the winter, so make sure you’re prepared for this before you sow them. Also make sure that you’ve turned the soil very well and removed any large stones because this will make the parsnips split as they grow. I managed to do 2 rows which should give a good yield, and plenty of room for them to grow. Two rows of “Gladiator” Parsnips….Are you not entertained? Once these were done, I then continued with some more weeding. 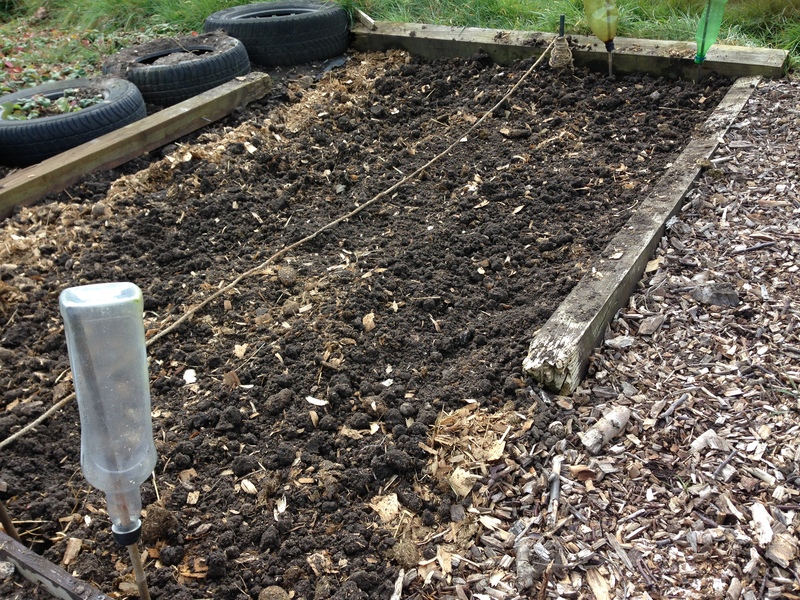 The soil is still great to dig, not too wet and the weeds are coming out very easily. The kids have now broken up for the Easter break, but as my 2 are old enough to be left on their own for a while (12 and 15) I can pop down the allotment for a couple of hours and plod on with everything. I’ve got loads of seeds to sow this weekend, so I’ll keep you up dated with what I get up to. Just a reminder that the clocks go forward this Sunday, which means that we loose and hours in bed, but we’re in British Summer Time. So more time to play in the garden. The days will be getting warmer and longer, perfect after a long winter. This entry was posted in Uncategorized and tagged British Summer Time, claire's allotment, Gladiator, Mr Fothergills seeds, parsnips, Russell Crowe. Bookmark the permalink. 4 Responses to Friday 27th March 2015 – That’s one packet down, goodness knows how many left to go!! Let me know how you get in with Salsify. I love it, but I think it’s an acquired taste. Roasting them brings out their flavour. I planted my first seeds in the ground today too! Half a row of carrots and half a row of beetroot in soil I’ve been warming under a cloche for a week or so. Much excitement! Fabulous!! I love this time of year when it all starts again. I’ve not sown my carrots yet (should be in a couple of weeks). I’m not sure if I’ve got Beetroot this year, I’ll have to check. I’m sure it’s somewhere.